A beautifully decorated table enhances any dining experience. Merante’s offers a wide array of serving dishes, linens, and glassware. Raid our pantry at Merante’s for a gift of flavor! 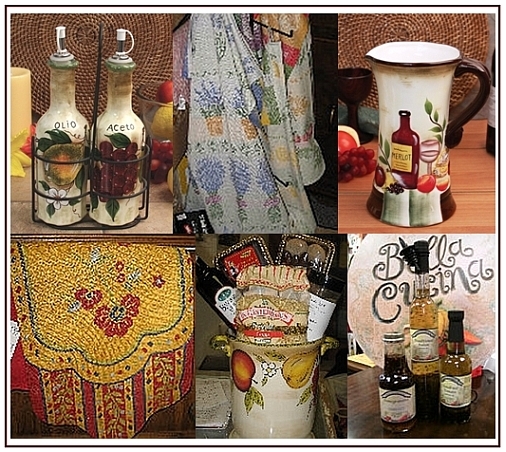 Looking for a unique hostess gift, or a bite of the Old County for a foodie friend? What could be better than some authentic Italian seasonings, pastas, olive oil, or an imported balsamic vinegar?